Morning Poll: Should the Newseum Move Back to Rosslyn? The Newseum is selling its Pennsylvania Avenue home of the last 11 years to Johns Hopkins University and is now looking for a new location. A museum of the journalism profession and the First Amendment, the Newseum first opened in Rosslyn in 1997 before moving to the District in 2008. 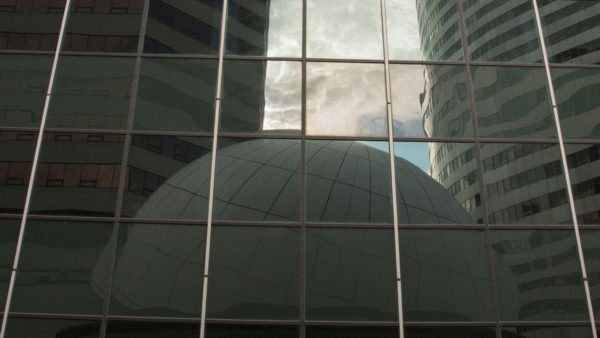 Its Rosslyn location was featured in the TV show The West Wing and later, after the Newseum decamped for D.C., became the short-lived Artisphere. The former Newseum space is now a co-working space and Rosslyn now has a new marquee tourist attraction, but given that the Newseum is looking for a new home we thought we’d ask: do you think it should return to Rosslyn?